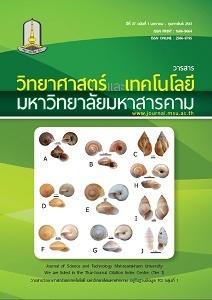 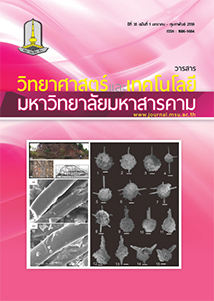 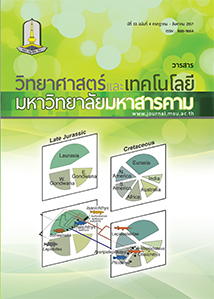 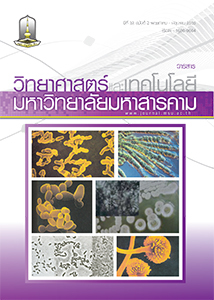 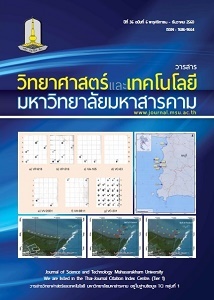 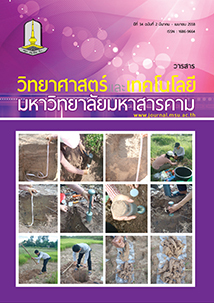 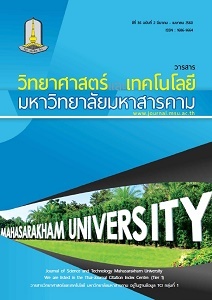 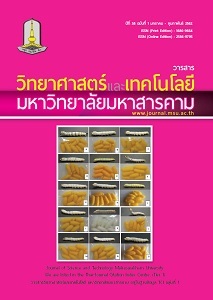 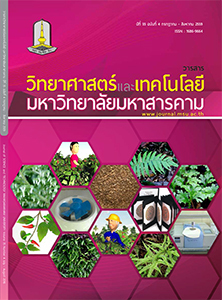 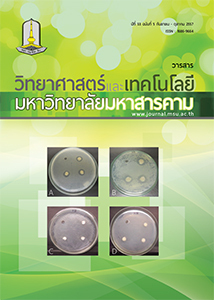 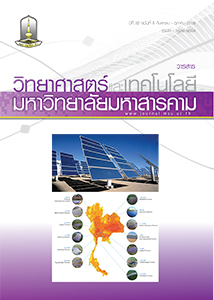 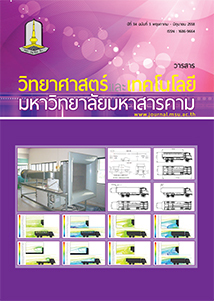 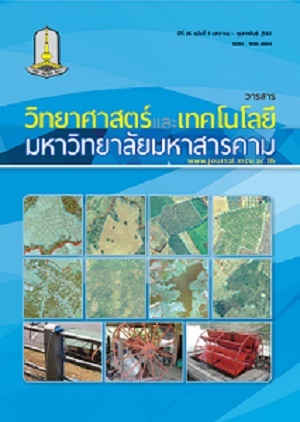 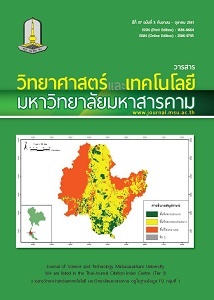 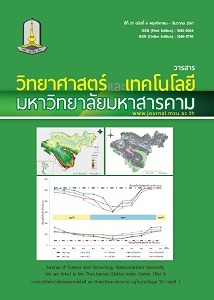 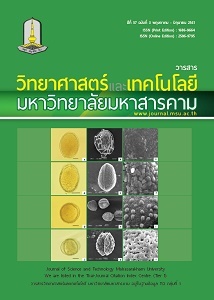 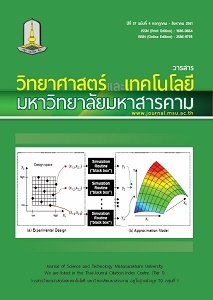 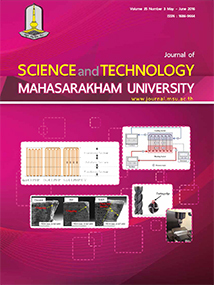 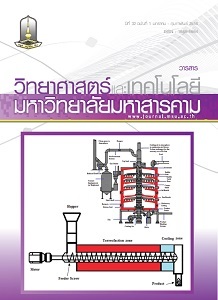 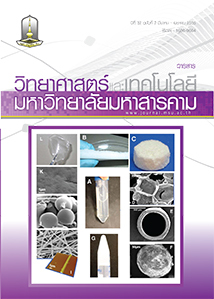 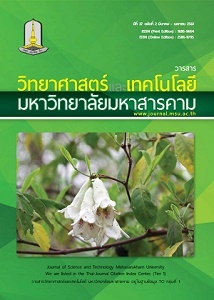 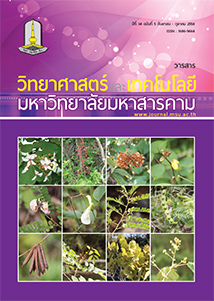 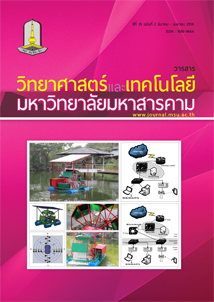 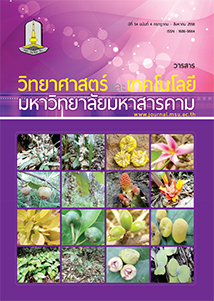 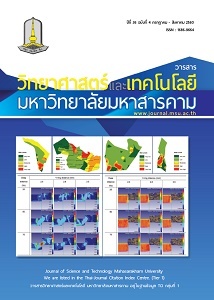 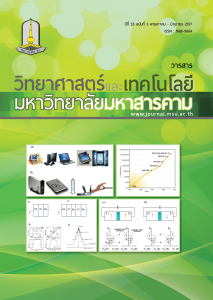 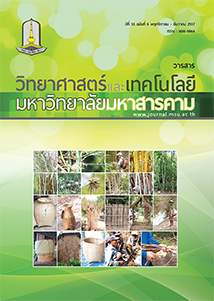 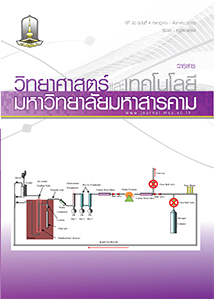 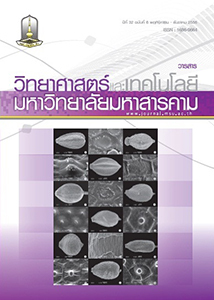 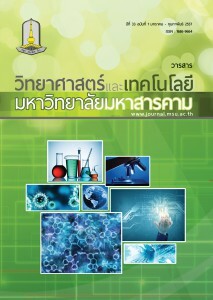 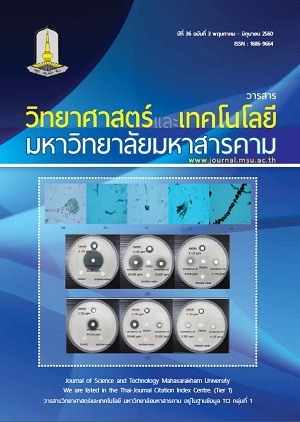 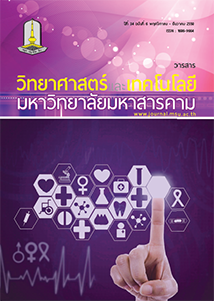 The Mahasarakham University Journal of Science and Technology volume 35 issue 6 is the English language version of this series. 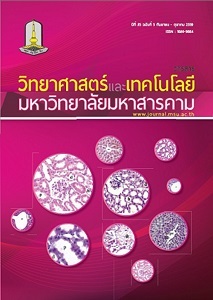 It is composed of all original articles covering biological, physical and health sciences. 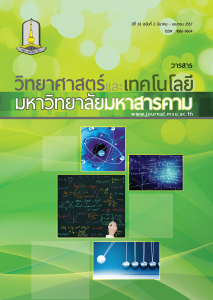 Each article constitutes interesting and in-depth research, and I trust each reader will receive new knowledge and benefit from the information presented. 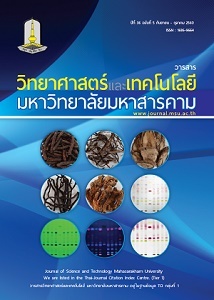 Our journal is classifi ed in group 1 of the Thai-Journal Citation Index (TCI) and as such, the editorial board and I would like to extend an invitation to all researchers to submit your manuscript for consideration and publication.